As business leaders we use our phones for just about everything – emails, organising meetings, checking breaking news and keeping in touch with colleagues and clients: our smartphones are central to our lives. However, they hold the potential to make life even easier, richer and more exciting, with the use of Near Field Communication (NFC). Imagine a trip where, with just a tap, you check-in to your flight, tag and track baggage, pay your taxi and gain access to your hotel room. Sounds pretty futuristic? Well that reality is here now and NFC is going mainstream. 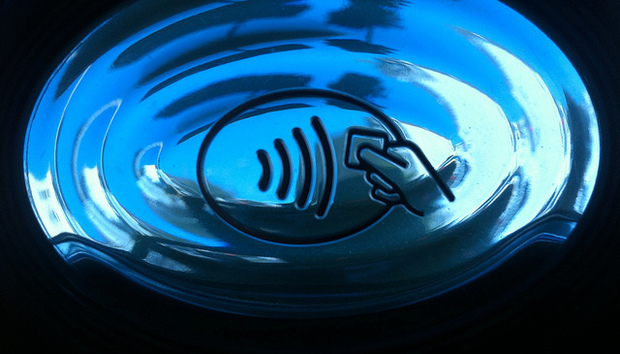 Mobile NFC isn’t a substitute for contactless plastic cards. It is much smarter than that. For example, an NFC-enabled rail ticket might make your handset vibrate when your train has arrived in the station; in a retail store, your NFC handset could remind you about any relevant vouchers you have and offer to redeem them when you reach checkout. Incredibly versatile, mobile NFC is digitising ticketing, payments, vouchers, loyalty programmes, access control - or simply the exchange of business cards. Working in tandem with mobile connectivity, NFC applications save us time, money and enrich our lives. What’s more, NFC handsets are now widely available and are in consumers’ hands today. Almost 200 million NFC handsets have already been sold worldwide, according to Strategy Analytics; Deloitte expects up to 300 million NFC smartphones, tablets and e-readers to be sold this year and according to IDC, nearly 1.5 billion NFC handsets will have been sold worldwide between 2010 and 2016, supporting transactions of more than $50 billion globally. With the growth of smartphones, businesses across the board are looking to innovations in mobile for new growth revenue streams. Mobile NFC is one way they can effectively tap into new opportunities to reach new customers and provide a superior experience for existing ones. Commercial NFC services are already established in more than 15 countries, including France, Korea, Singapore, the United Kingdom and the United States. Additionally, the GSMA is actively engaged with projects that are developing mobile NFC solutions in countries such as Australia, Brazil, China the Nordics, and Russia. By expanding the global reach of mobile NFC, we’ll ultimately be able to bring new and enriched ways of conducting business to just about any business in any country. Europe has seen the steady adoption of mobile NFC in the past few years. In the UK, brands such as McDonald’s, Pret A Manager and EAT have taken part in the Orange Quick Tap program, allowing consumers to use their cards to tap to pay for food, speeding up customer wait time. French operators have launched transport services in several cities, and payment services with BNP Paribas, Credit Mutuel and Société Génerale and all major mobile operators are actively preparing launches in Germany, Italy, Spain. Additionally, a Norwegian developer has created ‘Doorbl’, an app that uses NFC tags to offer households a way to communicate with visitors when they aren’t home or instantly able to come to the front door. In North America, mobile NFC adoption is gathering speed, with Canada having one of the largest contactless point of sale terminal penetration rates in the world, making the country primed for mobile NFC deployment. Additionally, Isis™ rolled out the Isis Mobile Wallet™ in Austin and Salt Lake City at the end of 2012. Their mobile commerce offer includes payment, virtual loyalty card and couponing. This NFC wallet can be used at hundreds of locations in the two cities. ISIS and its shareholders ATT, Verizon and T-Mobile are now very actively preparing for large scale extension and now also have deals with the major US banks. Asia, especially Korea, has seen one of the quickest mobile NFC adoptions globally. Japan’s operators are now working with their South Korean counterparts to bring the global NFC standard to Japan and enable everyone to use NFC handsets to pay for goods and services. Furthermore, Japan Airlines has added coupons and special offers to its NFC-enabled boarding pass service and announced plans to extend operations to include customers of KDDI, NTT Docomo and Softbank. China Mobile and China Unicom, together with Chinese card scheme Union Pay, also have performed soft launches and are preparing for scale this year. The momentum we’ve seen in NFC services continues to grow at a rapid pace. The GSMA and mobile operators are working with all adjacent industries, to spur innovation, collaboration and NFC adoption to ensure complications can be avoided and end users like me and you, can enjoy using our smartphones in this easy and innovative way. This, along with the continued adoption of mobile NFC by businesses and consumers will drive demand for new services and encourage further growth. How many different ways could you use NFC today?